Pragmatism is rooted in the linking of practice and theory. It describes a process where theory is extracted from practice, and applied back to practice to form what is called intelligent practice. Pragmatism was intended, by Charles S. Peirce, its founder, as a doctrine for the rational substantiation of knowledge claims. For Peirce, what mattered was successful prediction and control. Practice was to serve as the arbiter of theory. Objective efficacy, not personal satisfaction, is what matters for fixing opinion in a community of rational inquirers.According to Nicholas Rescher, later pragmatists saw the matter differently. They envisioned subjective satisfactions, rather than objectively determinable functional effectiveness, as being the aim of the enterprise. Rescher notes that William James, in particular, had an agenda different from that of Peirce.The two pragmatisms are complete opposites, Rescher argues, in terms of claims and intentions. James's soft pragmatism abandons the classical idea of inquiry as the paramount of truth; it believes that truth is an illusion, an unrealizable figment of the imagination. By contrast, Peirce's hard pragmatism believes that the classic idea of truth remains valid. 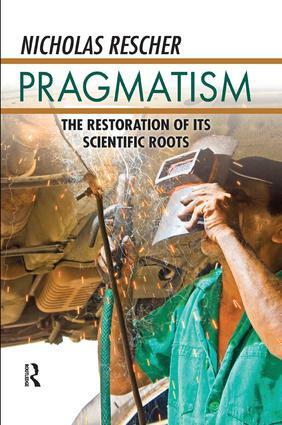 Rescher seeks to examine and explore pragmatism dialectically, with a conviction that brings pragmatism to life for specialist and generalist alike.